Follow the trials and challenges of two girls aspiring to become the next greatest hero and villain. Yu is one of the candidates to become the next "Yusha," while Mao is one of the candidates to become the next Demon lord. Mao and her two furry companions challenge Yu to a duel on a daily basis, but they always fail. Yu, on the other-hand, already holds a great amount of power. She just finds Mao to largely be an annoyance. The year is 2045 in Tokyo, Japan. The world has been revolutionized by the discovery of technology called "Labels" that allowed for the download of applications into the human body that gave anyone any talent they chose. Our main character, Peta, despises this world. He has been completely rejected by society due to his inability to use Labels. One day, he runs into a man in black with a prosthetic arm. He introduces himself as Kandera. Kandera is part of the special division in the police that utilizes Labels to stop Label-related crimes. After an incident with some shady figures, Peta now has to face the option of running away, or joining Kandera. 17-year-old Matsuyasu Chitose has no interest in romance, but it seems like only couples flock to the café where she works. To her annoyance, she's always having to deal with the angst and silliness of these lovers. One day, Matsui Sakura receives an invitation to a "Revenge Game," and decides to attend. At the location indicated, she ends up locked in a dorm-like building with four of her classmates. It appears that the Revenge Game is being run by a wealthy classmate, Saionji, who was bullied so badly by some of the students that it ruined his life. Now he is taking his revenge, in a brutal game that allows him to have one of his former tormentors killed each morning. However, Sakura--a lonely, quiet, orphan girl--does not understand why she is there, unless it was due to her inaction in stopping the bullying of others. She's also the only one who received an invitation, while the others were abducted or tricked into attending. What is the final purpose of this game? Shioya really likes to help sportsmen, to the point that he is weirdly fascinated by them. He has a dream of becoming best sports doctor in the world, and he is already quite good at it even though he is still in high school. Third in the ranking of the "Assassin Name" families of the underground assassin community, the "Zerozaki Ichizoku" is infamous for their indomitable family unity. Each of its members exhibit combat prowess when it comes to saving one of their kin. Zerozaki Kishishiki is one member of the Zerozaki family, and he utilizes a bat covered in nails to brutally murder his targets. He calls his weapon the "Praise of Folly (Seamless Bias)." His next target was supposed to be an ordinary target, just another day for him. He faces a problem when he discovers that he has become prey to a formidable enemy. Revenge Game is another one of those manga with teenagers who are forced into a game where they might die. In this case, though, there are only five of them, so I don't imagine the story can continue much further after the first 6 chapters. Hatarakanai Futari was pretty funny, and I really appreciated seeing a comedy about a nice brother-sister relationship that isn't sexualized. 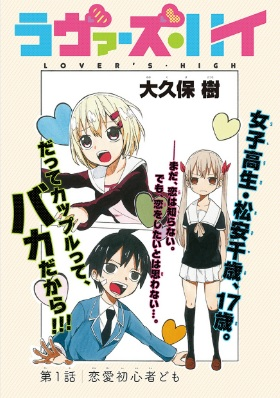 Lover's High was kind of cute, seeing the main character getting irritated by the various couples antics, but I'm not sure how much mileage the manga can get from that premise. 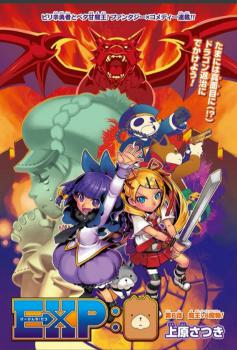 EXP:0 - If you like fantasy, demon lords and heroes, then you should check this manga out. Hatarakanai Futari - On the other hand, if you like more slice-of-life type manga with a mix of video games, then this manga is the one for you. 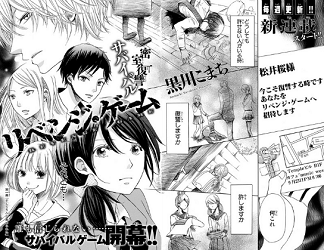 Hi-Fi Cluster - Another manga debuts in Shounen Jump, and this one has an interesting take on abilities. It reminds me of the Matrix movie and how Neo was able to get any ability by downloading the knowledge into his brain... If you like that movie, then maybe you should check this out as well. Lover's High - If you like a little romance thrown in with the slice of life, then you should take a look at this manga. 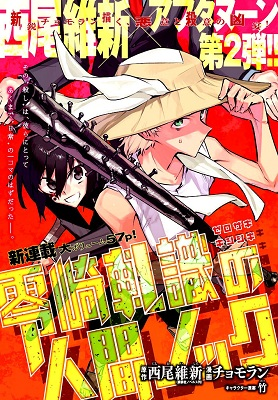 Revenge Game - However, if you're more into the survival game type manga, then you should check out this one instead. Although the genre isn't new, this manga is short so there shouldn't be any dragged out scenes. 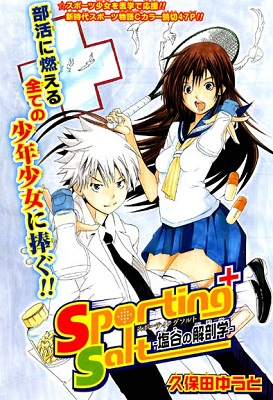 Sporting Salt - If you like sports manga like Prince of Tennis, then you should definitely check out this manga. 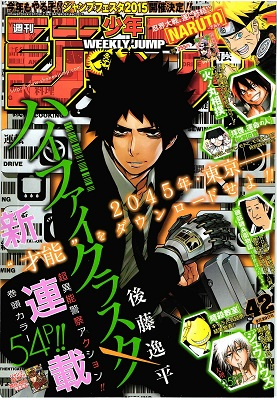 Plus, the first two chapters are already scanlated. Zerozaki Kishishiki no Ningen Knock - If you are a fan of the stories from NisiOisiN, then this another must-read. 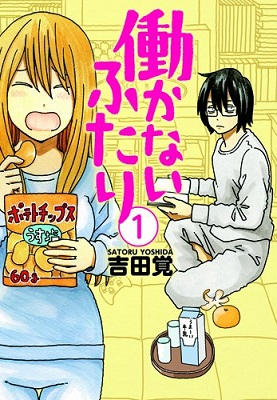 If you haven't done so already, check out the scanlations of the mangas from previous shout outs which have been recently scanlated: school life comedy Takahashi-san ga Kiite Iru. (MH link), romantic drama Megami no Libra (MH link), supernatural fantasy Gingitsune (MH link).